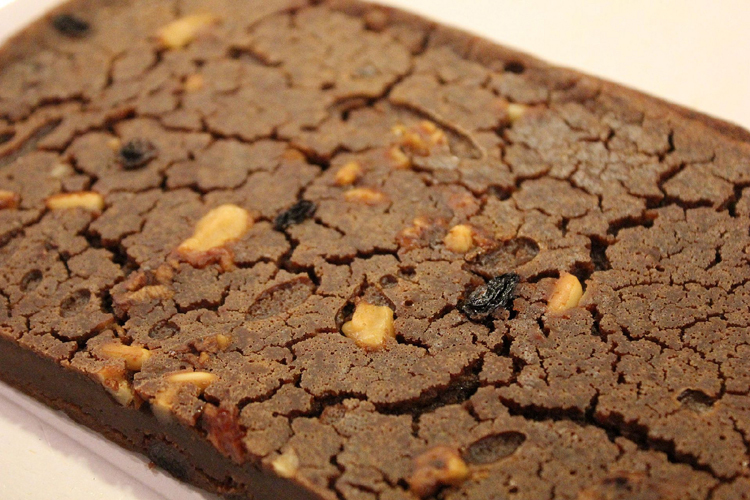 A less known product of Tuscany, but one which is part of the culinary tradition of the region. 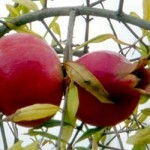 This month the Italian Blogging Roundtable is dedicated to “harvests”. 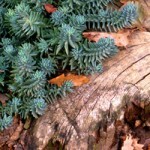 October is not really a month of well-known “harvests”. 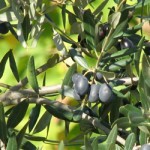 The grape harvest has just happened and the olive harvest has not yet begone. 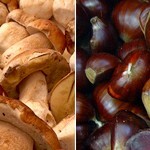 However, October is the month when chestnuts are harvested. Not many people know about this “minor” product of Tuscany. 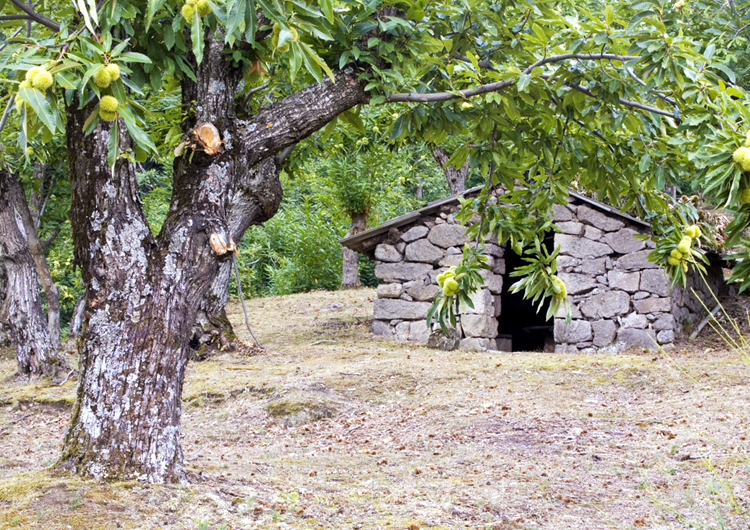 Chestnut trees are not found in what most people consider picture perfect Tuscany. They grow at higher altitudes, and for this reason they are confined to few areas: Monte Amiata and the Appenine (Lunigiana, Garfagnana, Mugello, and Casentino). The park in my village is known as “i Castagneti“, literally “the chestnut groves”, because there used to be many chestnut trees. Now only a handful are left. 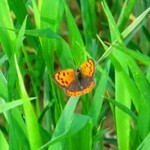 The climate has become too warm for them to survive at our altitude and most of them have died. Nevertheless, their presence has left a trace in the culinary tradition of my village. There is no household where the fall is not celebrated with “caldarroste” (roast chestnuts), boiled chestnuts or castagnaccio (plain chestnut flour cake). 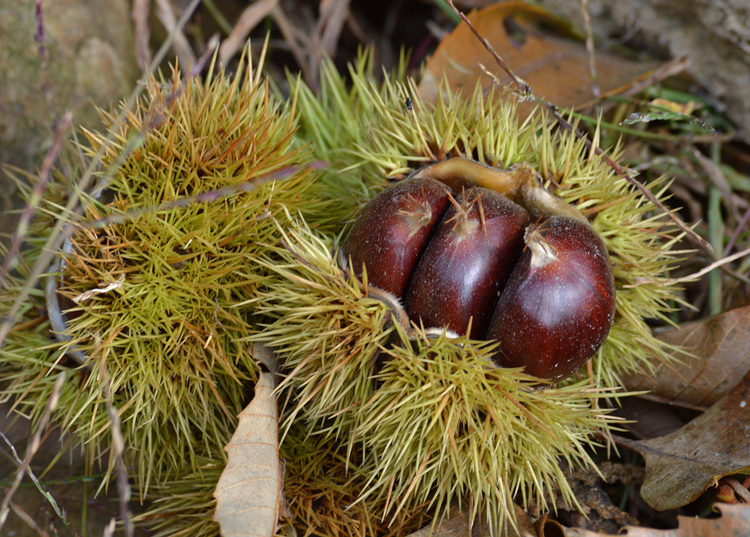 The chestnuts produced by most of the trees in the park are not good for boiling or roasting. They were mostly used to feed the pigs. They are small and hard. But they were good enough for chestnut flour. The best chestnuts in the area, and the most impressive and fascinating chestnut groves I must add, are found on Monte Amiata. I have amazing memories of chilly fall early afternoons spent harvesting chestnuts near Arcidosso and Castel del Piano when I was a kid. You had to be really careful to not touch the burrs with our hands! 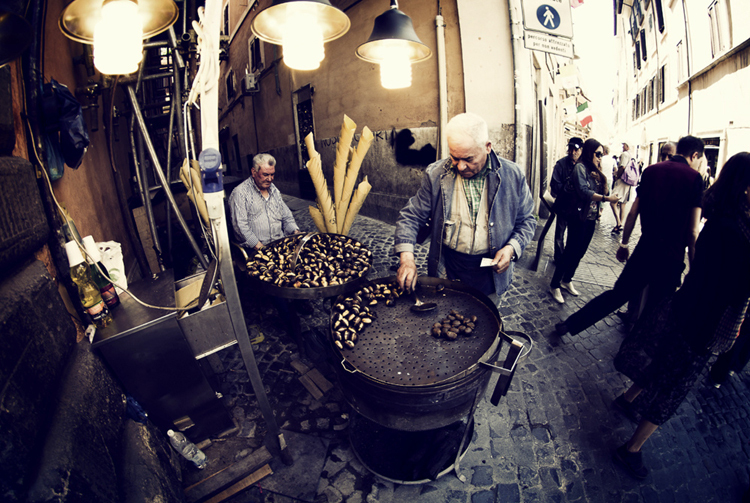 If you ever happen to visit Tuscany in the fall, you will be able to try caldarroste, roast chestnuts. Large braziers are lit on the busiest streets of most cities and towns in late October and early November and hot roast chestnuts are sold wrapped in paper. Nothing beats a nice “cartoccio di caldarroste” with a good glass of red wine in the chilly fall afternoons! 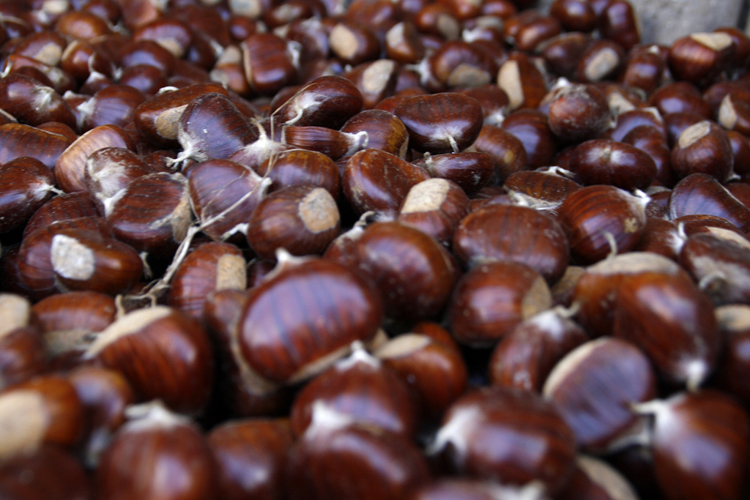 Chestnut-dedicated festivals are also popular in October. On Monte Amiata, this delicious product is celebrated in Monticello Amiata at the Festa della Castagna, in Abbadia San Salvatore at the Festa d’Autunno and in Vivo d’Orcia at the Sagra del Fungo e della Castagna (usually the 2nd weekend of October). At the end of the month, usually around October 20th, La Castagna in Festa brings lots of people to the lovely village of Arcidosso. If you want to know more about the chestnuts of Monte Amiata you can read about them here or here (Chestnuts of Monte Amiata). Don’t forget to try chestnut beer! Other areas where chestnuts are produced are Mugello, and the town of Marradi especially, and the Garfagnana north of Lucca. Here is an interesting list of articles dedicated to chestnuts in Tuscany and the most popular areas and chestnut-based products. If you plan a trip to Tuscany in the fall, take a look at our vacation house in Tuscany near Siena or our Pisa apartment.